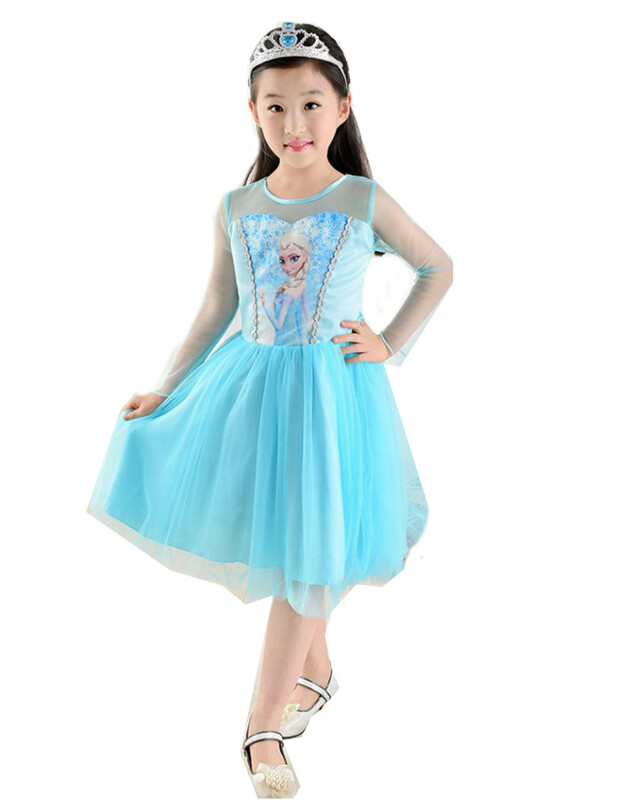 Our ice blue princess inspired costume dresses are wonderful, little girls love this inspirational dress! Ties to bow in back. Crown shown is not included. Crowns sold separately. These are great quality and are priced at the lowest prices around! You will love these! A must have for any little princess! Very hard to find and you cannot beat the price! Our frozen dresses are a final sale. Made with delicate fabrics so handle with care. Wash on gentle inside out and hang to dry. We recommend sizing up if unsure!